I am keeping you waiting this week, apologies, but read on for some fine places! First up, the featured article is Boca, E1 7DA. This is a cafe in Spitalfields themed around South America! An entire continent of food in such a small space. Anyway, expect empanadas aplenty, and vegan/veg options, hurrah! * Tokyo Diner, a Japanese restaurant in Chinatown. Try some tasty agedashi tofu, perhaps? * Cafe Blue, a cafe in sun-struck Purley. It is blue. May not be worthy a visit to Purley if you're not local, unless you're a fan of curly fries perhaps? * Cappuccino, a cafe in Norbury. It gets busy, and you might not get the breakfast you want, but try the smoothies, smoothie fans. Hi readers! 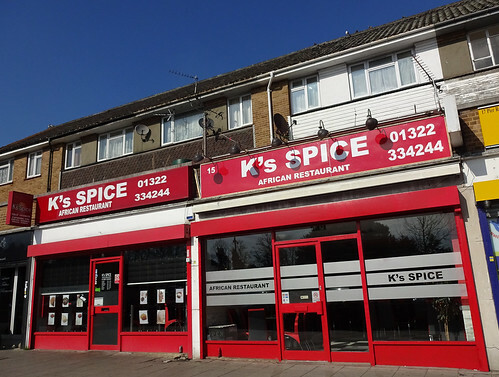 This week's featured article is for K's Spice in sunny Erith. This Nigerian restaurant is a tale of two halves: the casual, familiar tiling on one side, the dramatic elegance of stone cladding on the other, reflecting the eternal dualism within us all, the light and dark, the yin and yang, and all the shades in between that create a fulfilling and rounded human experience worth living for. Also, there's plantain! New this week - we've all dreamed about it - the Christmas empanada. Yes, at Boca in Aldgate, your December empanada dreams can come true. If veggie stuffing and turkey fillings aren't your thing, try the sweet potato and feta - available all year round! There's an update to Marylebone favourite The Golden Eagle - the beer is still good and there's still a dude playing piano classics in the corner. It's unlikely that this pub will change its style in the next millennium but your trusty reviewing team is happy to keep checking regardless. Welcome back to a new week of RGL! 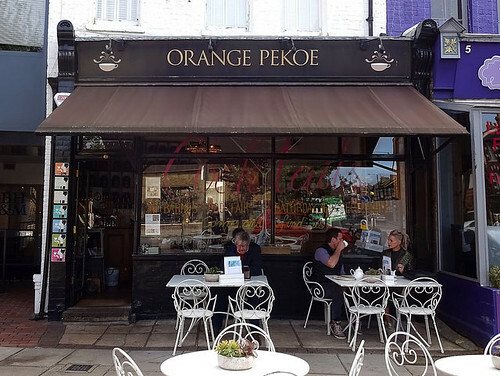 The featured article this week is Orange Peko, SW13 0PX, which I had been convinced for some reason was a breed of dog, but actually no it's a tea. I should have known that. So anyway this is a tea shop, not a dog shop. It gets quite busy, even on a Monday morning. 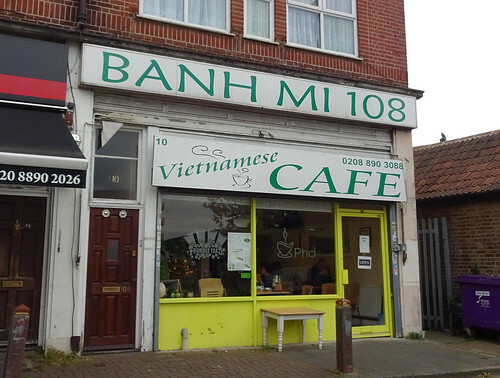 The food is pretty good, and they're excellent at tea, which you'd expect, or at least you'd hope for that. No word on dog friendliness, but it's in leafy Barnes, so they can handle prams. Lots of new additions! We have Searcy's, a restaurant and champagne bar in St Pancras International Station (friendly service, good food, but steep prices). 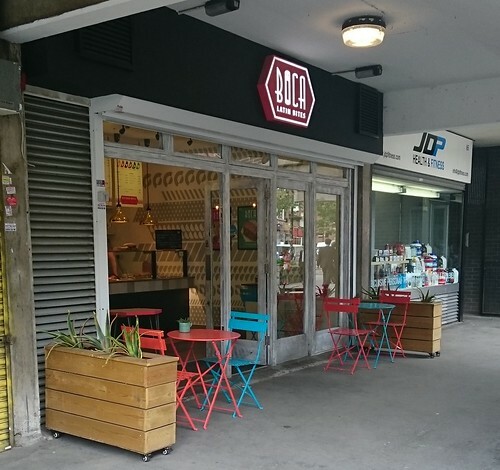 We have Grao de Cafe, a Portuguese cafe and shop in sunny South Croydon (more friendly service). We have Divan in London-adjacent Borehamwood, a Turkish restaurant with abstract art and chill-out music, a good lunch deal and observant service (so I'd class that as good service). We have The Alfred Arms, a pub in Borehamwood, smart traditional, but still not in London. 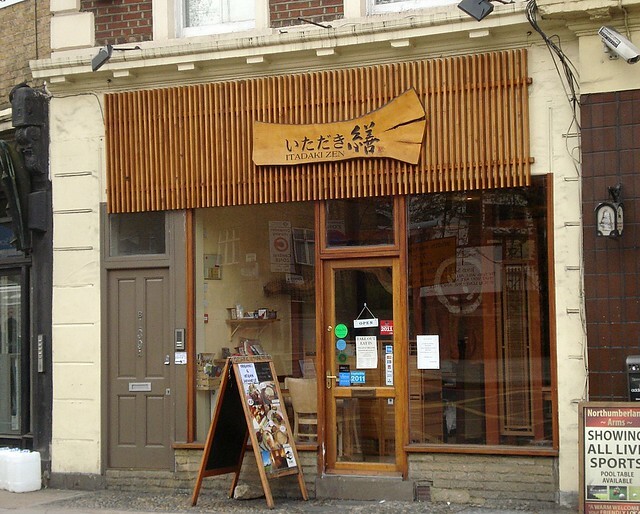 And finally we have Kiyoto, for all your Borehamwood Japanese food needs (good rice, but the food is a bit stodgy, but perhaps that's what you get when you leave London and are not in London, outside London). 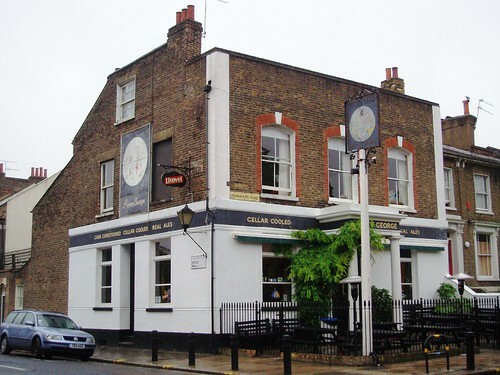 Reported temporary closure for The Bear, one of Camberwell's finest pubs and due to reopen in 6-8 months' time. Finally, three reported permanent closures. There's The Still and Star in Aldgate (boo hiss developers), The Peacock not far away on Minories (may yet reopen), and The Good Ship in Kilburn. I remember many gigs at that pub back in the day, what a strange stage arrangement it had. 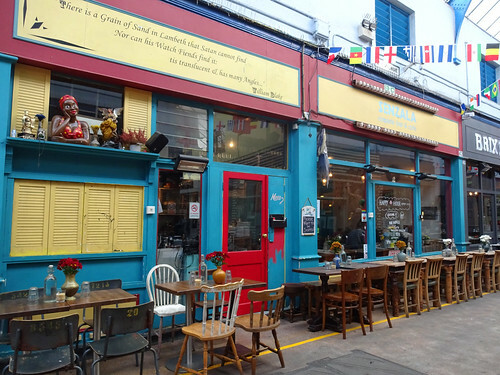 This week's featured article is for the Prince George, a friendly local tucked away in the backstreets of trendy Dalston. But I bet you hear about Dalston all the time! What's happening in Epsom, I hear you ask? Well, if you want to find out, why not have a look at the new page for veggie cafe and deli Organico (featuring a reasonable attempt at vegan ham sandwich) or the updated page for the Marquis of Granby (featuring nduja mayonnaise, not attempting to be vegan in any way). Epsom! It's all go, I tell you. Look out for more exciting developments from the south-west outskirts of London on RGL in the near future! Other pub news, courtesy of the recent issue of London Drinker: The Cape in Wapping, Corney and Barrow near St Paul's and The Beauchamp in Knightsbridge have all shut; the Charcoal Burner in Sidcup is no longer aflame, and is now just The Charcoal; and the Obelisk in Chingford has reopened as The Mount. The Clifton in St. John's Wood has reopened without changing its name at all (a lack of imagination, perhaps), as has the Crown & Greyhound in Dulwich Village, a lovely sprawling pub which I'm glad to see back on the drinking map, and not just because it's walkable from my house. 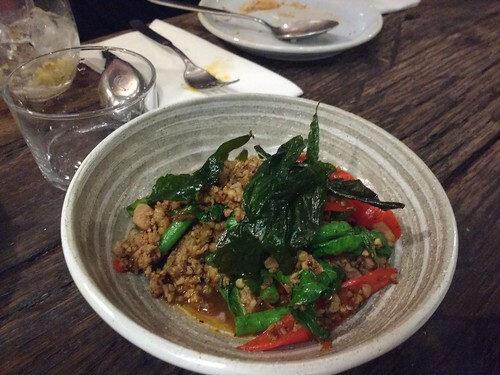 This week's featured article is Som Saa, E1 6BD, a well-regarded Thai restaurant that I've been meaning to go to for ages, just on the Spitalfields/Whitechapel border. However, luckily an RGL correspondent has done so, and plenty of positives resulted, albeit clustered along the sour/salty ends of the taste spectrum. Kake also tantalises readers with a suggestion of weird over-intimacy but we shall have to imagine. * Lituanica, a Lithuanian restaurant in the charming and delightful eastern oasis of Beckton, and part of what sounds like a Lithuanian department store. Expect potatoes and meat. * Cafe Le Jardin in Whitechapel. It's a decent greasy spoon, though it is unclear whether there is indeed a garden, but the map doesn't suggest any. * North End Tavern in Worcester Park. 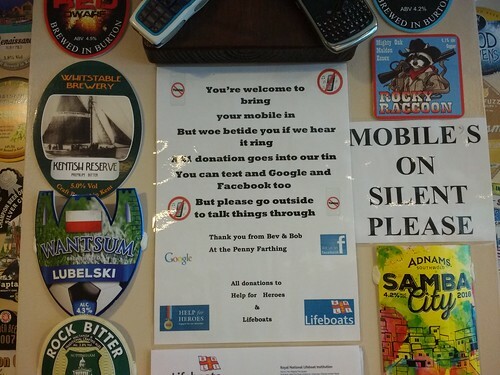 Welcoming yet fairly standard as these kinds of things (chain pubs in suburbia) go. Evening RGLers! 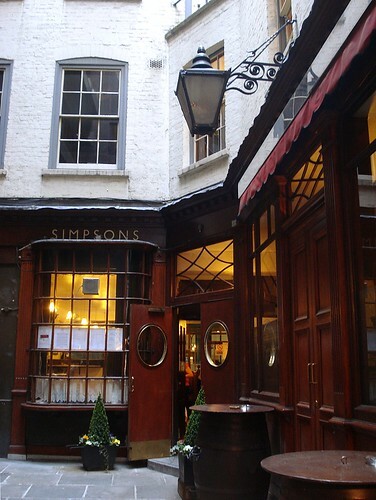 This week's featured article is for Simpson's, a venerable old pub in the City which is even older than Jonathan the tortoise. It's closed on weekends but makes up for it by opening early for breakfast during the week - worth a visit if you're after a fry-up in EC3. Finally, in lift refurbishment news, the lifts have now been refurbished at Lambeth North tube, and it's fully reopened. The blog is taking a short break next week - we'll be back in a fortnight! 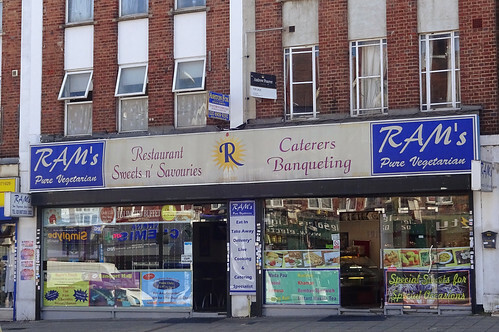 This week's featured article is for Ram's in Kenton, a vegetarian Indian restaurant and sweet shop with a decent all-you-can-eat buffet. Unlimited bread! 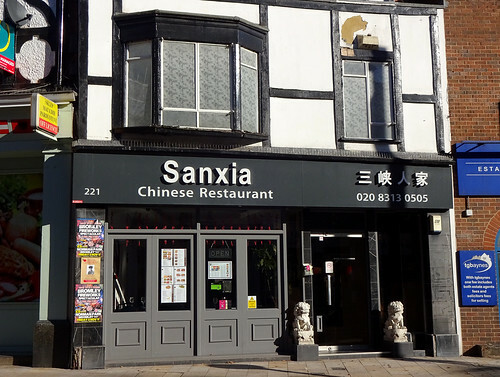 There are also two new pages on RGL: Cactus Grill in Wallington serves Mexican/American food with a lunchtime meal deal, and Hap Lee in Norbury does the usual Anglo-Chinese cuisine (maybe skip the aubergine). There's an update for the Orange Room in Mile End, just around the corner from a house where approximately half the population of Livejournal has lived at one point or another, including this author. I'm pretty sure there wasn't a local Lebanese mezze place at the time - but now there is! Several pub closures to report: the Hatchet near Mansion House, the Chequers in Hendon, and the Greenwich Pensioner in... wait for it... Poplar! (Come on, why would you think a Greenwich Pensioner might be in Greenwich?) The Victoria Stakes in Muswell Hill is also temporarily shut following a fire, but the Good Samaritan in Whitechapel has reopened: very handy for a pre- or post-Tayyabs pint. Evening everyone! 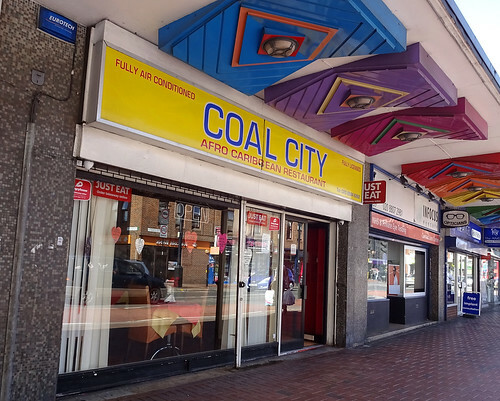 We head to the far frozen North for this week's featured article: Coal City is not a colliery in Yorkshire, but a small Nigerian restaurant in Upper Edmonton. The edikang ikong (a hearty veg soup) was just the right level of spiciness to thaw out our intrepid reviewer. New to RGL this week is Cafe Rosh in Shadwell, serving an all-too-rare combo of fried breakfasts and biryanis (and chicken themed sandwiches) for a very reasonable price. Elsewhere, The Melbourne in Wallington has closed for a quick refurb, while in Chinatown, RGL favourite Leong's Legend has moved around the corner to Gerrard Street. I'm sure we'll get round to paying a visit to the new location soon! Welcome back. I was off ill yesterday so I present this week's update a bit late, sorry. 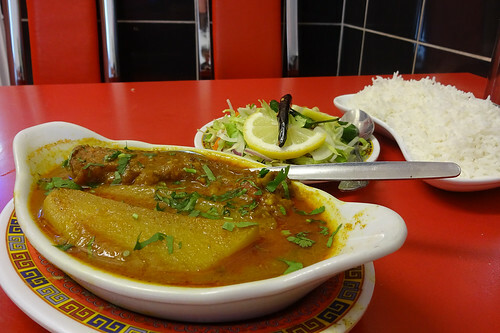 The featured article is Ponchokhana, E1 1DB. Not in fact some kind of Mexican-equestrian hybrid, this is instead a Bangladeshi cafe, which has good rice and flavourful fish in the fish curry, though we daresay their other food is also worth trying. Good prices too. Three new articles! Andu Cafe in Dalston does Ethiopian vegan food, with a really sour injera. Brazil Express is a Brazilian cafe in Stratford, which also offers some grocery items for pao de queijo fans, lovers of preserved hearts of palm, and other exotic things. Finally, there's Eddie's Cafe in Addiscombe, a greasy spoon which does greasy fried things as you'd expect. 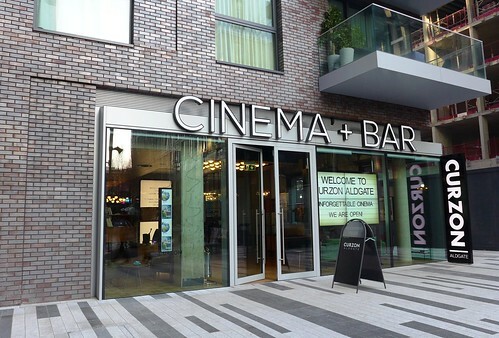 There's an update to The Fox, friendly craft beer hub in Dalston. 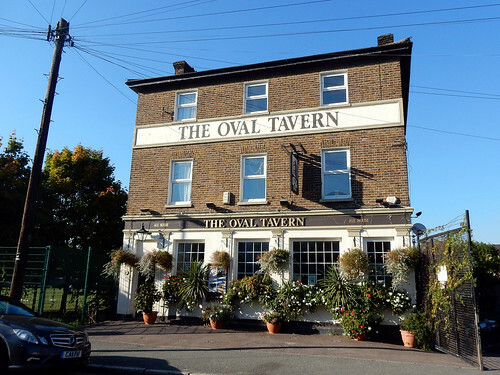 One reported (but thankfully temporary) closure is The Ladywell Tavern, a tavern in Ladywell. It's being refurbished, we hear. 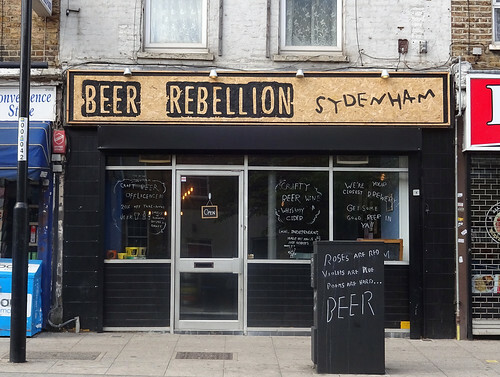 This week's featured article is for the Sydenham branch of Beer Rebellion, a micropub run by the Late Knights brewery dudes. 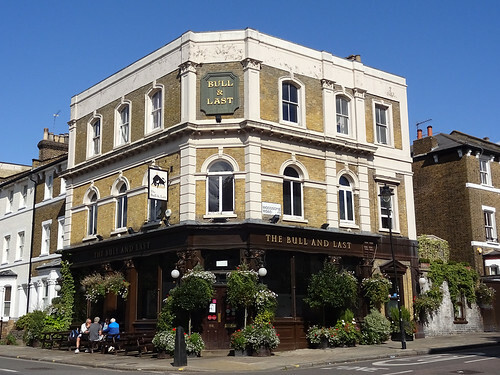 It's a bit more spacious than the Gipsy Hill Beer Rebellion, which we've also visited recently and thus have a brand new page for. The Sydenham branch has a revolving menu with different popups taking over their kitchen each week (this weekend for example, it was tapas). The Gipsy Hill branch meanwhile has a more stable menu: half burgers, half 'not burgers'. It's not all about the beers and binary burgers this week though! 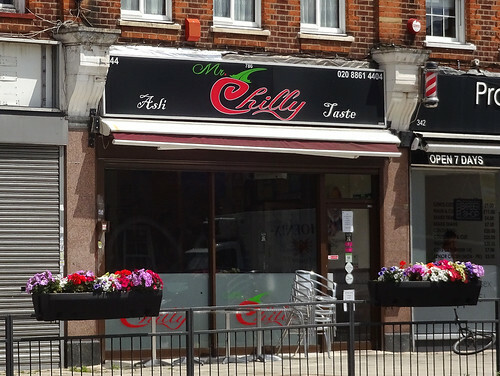 There are new pages for Saffron, a decent Nepalese/Indian takeaway in Tulse Hill, and for Ponchokhana, a small Bangladeshi cafe in Whitechapel which sounds like a handy place to stop for a 'not burgers' lunch. 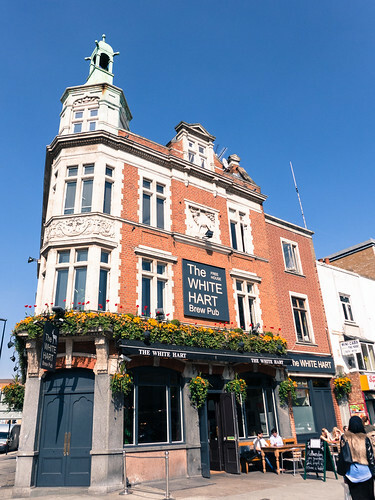 This week's featured article is for the White Hart in Stepney (not to be confused with the other White Hart a few hundred yards further down the A11 by the Whitechapel Gallery). The featured White Hart contains its own microbrewery so you'll have plenty of fresh beer to drink if you visit, and some decent food to soak it up with. Aside from our Cockney drinking den we have a very Brentwood-focused week for new pages. Pub-wise there's the Brewery Tap, a small pub that does not have its own microbrewery as far as I can tell; the Rising Sun, which is in the Good Beer Guide and will do you a pickled egg; the Spread Eagle, which does scones and coffee as well as real ale, and a traditional boozer in the form of the Victoria Arms, which I'm pleased to report possesses a carpet. Elsewhere in Brentwood there's the Chicken and Frog, a children's bookshop, and Japanese food at Sushi City. The latter plays techno covers of Terence Trent D'Arby - I'm sold. Finally another non-Brentwood addition: USSR Ltd in Leyton, which appears to be a Russian version of Aldi? I will admit to being intrigued both by the concept and the name! I wonder if they play techno versions of Дима Билан?